Does the perfect cocktail even exist? Yes, and you can thank Orlando Marzo for not one, but seven perfectly balanced and sophisticated creations. 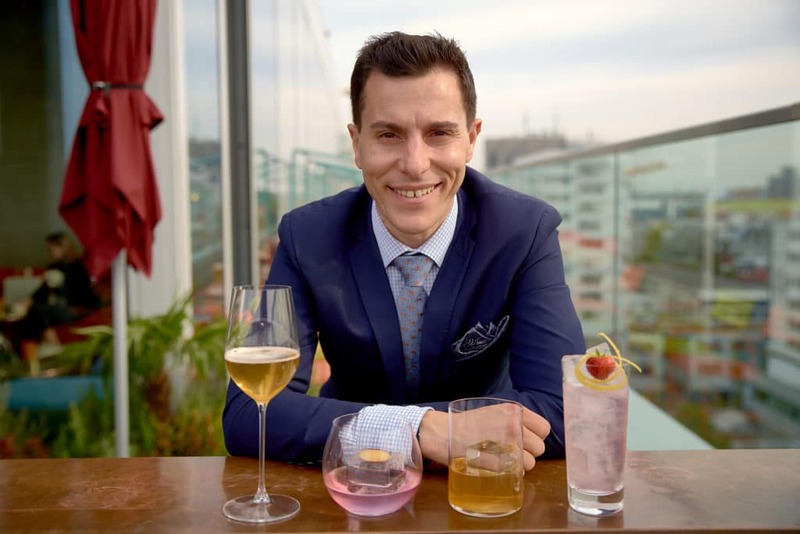 The newly-crowned World Class Global Bartender of the Year, hailing from Melbourne’s acclaimed Lûmé restaurant wowed a potentially demanding panel of judges — including Diageo’s Global Cocktailian Lauren Mote, no less — to beat 10,000 other bartenders from all over the world to take home the coveted title. It wasn’t a walk in the park for the Italian native either. Challenges such as the ‘Cocktail Clash’ finale proved to be a true battle of wits and nerves, but Marzo’s calm demeanour helped him pull through. Orlando Marzo and his winning cocktails. Here, Marzo has graciously shared the recipes to his winning cocktails, each looking extremely inviting for long balmy evenings. Tailored specifically with the challenges at the Diageo World Class Berlin 2018 in mind — which includes working with Ketel One, Tanqueray No. Ten, Johnnie Walker Black Label, and Ron Zacapa — these cocktails embody the best of their spirits with cleverly thought-out flavour pairings and refreshing techniques. Here’s how you can recreate them.